Always a hot spot for travel, Vegas has become one of the country's places to be. And with Memorial Day in sight, why not make it your weekend getaway? With a variety of luxury hotels, top notch acts hitting the strip, and endless eating options, Vegas is the perfect Memorial Day retreat. So we teamed up with Expedia.com to bring you the ultimate Vegas staycation guide. In addition to the first-rate hotels listed below, see more Vegas hotel options at Expedia.com. There's no better place to catch a show in Vegas than the illustrious Caesars Palace, where you can see, on any given night, a world-class performance from the one-and-only Celine Dion, and upcoming dates with crooner Rod Stewart and country superstar Reba McEntire. If a concert isn't your thing, there are plenty of live comedy shows, magic acts, and onsite activites to partake in. But don't miss an opportunity to take a walk through The Forum Shops at Caesars, a massive over 600,000-square-foot mall connected to the hotel and filled with luxury boutiques from Louis Vuitton, Burberry, Fendi, Gucci, Tiffany & Co., Van Cleef & Arpels, and Cartier, among others. 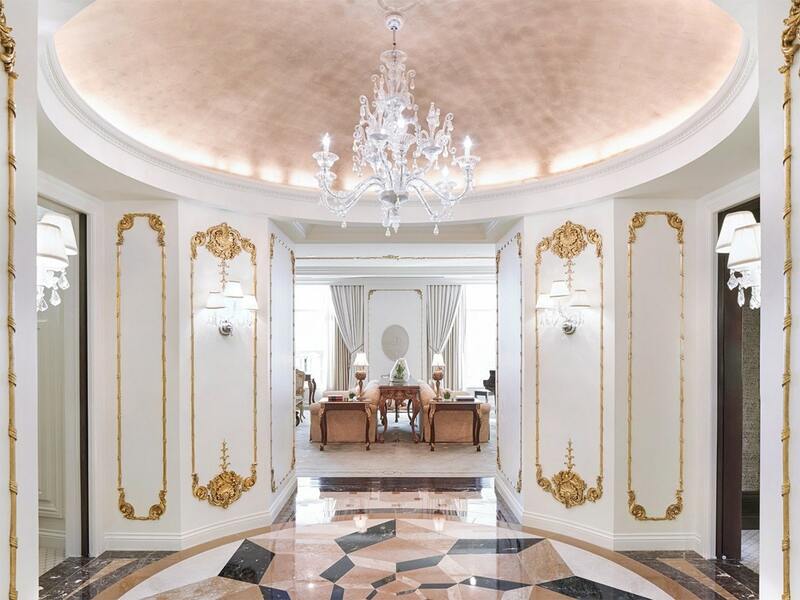 The Penthouse Suite, which includes two bedrooms, two bathrooms, a formal living room, formal dining area with seating for eight, and a double-door entrance for the most dramatic of entrances, is The Venetian's most luxurious suite. 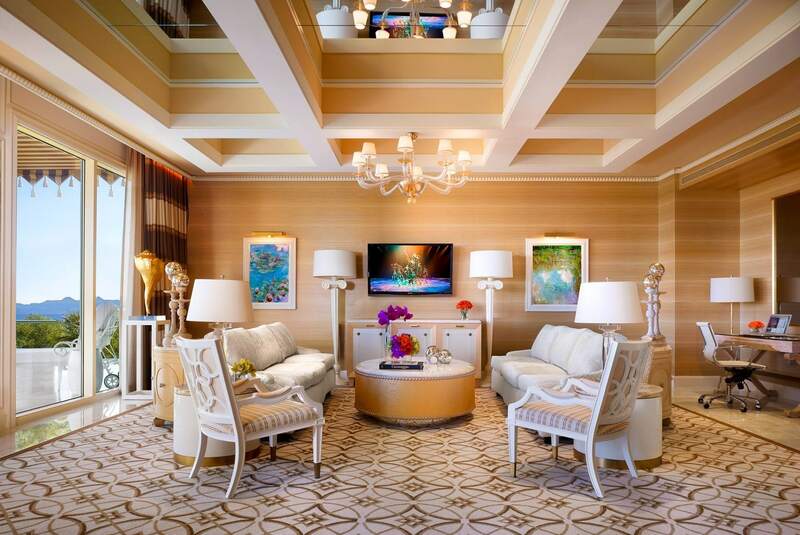 The room also comes complimentary with airport limo service, to make your trip at The Venetian a stressless journey; VIP check-in and concierge services, for a seamless stay at the hotel; and, limitless access to the lounge, a special service reserved for Penthouse Suite visitors. Feel like royalty when booking a stay here. Not only do Wynn Fairway Villas at The Wynn come with pristine marble bathrooms, an exclusive private-drive entrance, personal ambassador, and a dining room equipped with a mahogany and granite wet bar, but also a private balcony with a view of the resort and surrounding valley. Dine al fresco with friends on the terrace or spend the day at the resort's award-winning spa, salon, and fitness center, a small walk from your room. At night, for a little excitement, pop by one of the many clubs: XS, Surrender, Intrigue, or Encore Beach Club, and dance the night away. Smack in the middle of Sin City is the gorgeous Mandarin Oriental, which offers anyone staying at the hotel a spectacular view of The Strip. 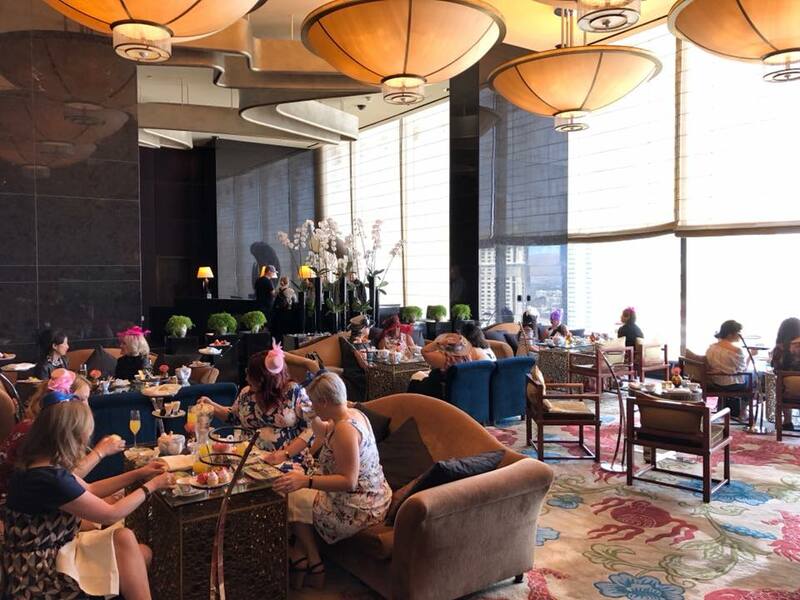 A visit to the Mandarin Bar also comes with a sweeping look out onto the city, so order a few cocktails and sip away till your heart's content near the floor-to-ceiling windows. Taking in the view while lounging poolside with a martini doesn't sound bad either. To book your ultimate Vegas staycation, visit Expedia.com.